This is what former England and Arsenal striker Ian Wright believes after Chelsea starlet Callum Hudson-Odoi got his first call up to the senior England squad earlier this week for the Euro 2020 qualifiers against Czech Republic and Montenegro, with the teenager making a 20-minute substitute appearance against the former and impressing by forcing an own goal with his run and shot. That was despite the 18-year-old winger not being handed even one start in the Premier League over his short career so far, including by new Blues manager Maurizio Sarri this term. It has to also be remembered that Hudson-Odoi was the subject of strong transfer interest from Bundesliga giants Bayern Munich this January, with Chelsea having to turn down several bids for the academy graduate. However, that has not seen the U-17 World Cup winner’s game time increase by any stretch of the imagination. Gareth Southgate, meanwhile, has been full of praise for Hudson-Odoi after seeing him in training this week. He even claimed that the youngster was ready to start against Czech Republic, although eventually he had to happy with a place on the bench. “I know a lot has been said about what’s the selection policy, is it on form or capability,” Southgate said. 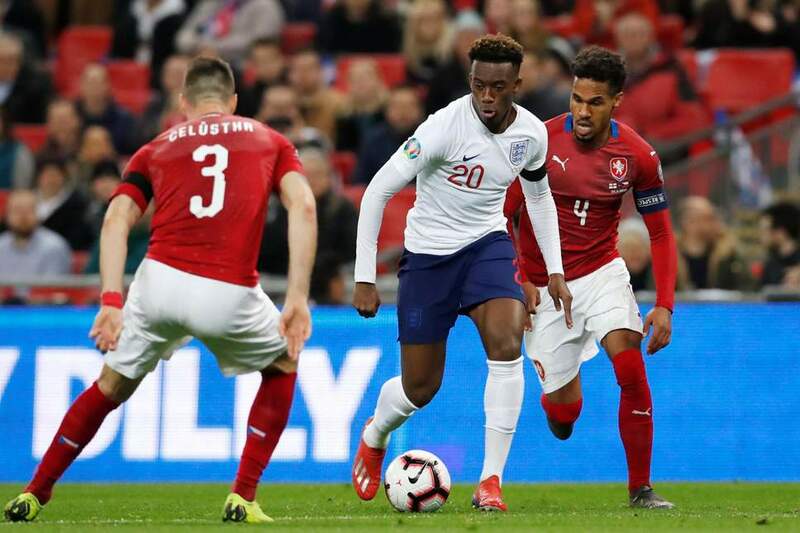 Wright is of the opinion that Southgate has sent a clear message to Sarri, pointedly asking the Italian to start playing Hudson-Odoi more regularly hereon. “I think when we watched him in the Under-17s when they won the World Cup, he was one of the outstanding players,” Wright said on ITV. Hudson-Odoi definitely impressed during his cameo against a hapless Czech side, and has been doing so whenever he has gotten the opportunity for Chelsea as well, most prominently in the Europa League, where he has notched 4 goals and 2 assists over 413 minutes played, which equates to an astonishing goal involvement every 69-odd minutes! If he is to improve and reach the kind of potential he has displayed, then he will need to get more regular game time, and if Chelsea cannot provide that, then they would do well to let him go or loan him out so he gets that exposure elsewhere.